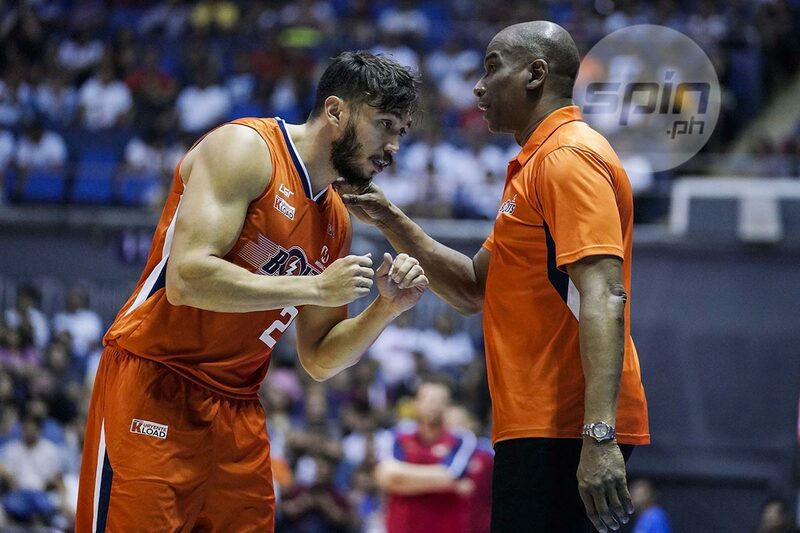 THE Meralco Bolts have been handed the task of representing the country in the 2018 FIBA Asia Champions Cup set in Bangkok, Thailand starting Sept. 27. The franchise’s participation in the meet that gathers club teams from around Asia was among those approved by the PBA board during its annual planning session in Las Vegas. The Bolts will be up against the Alvark Tokyo of Japan, the Liaoning Leopards of China, SK Knights of Korea, Al Riyadi team of Lebanon, Petrochimi of iran, Pauian of Chinese Taipei, and Thailand’s Mono Vampire. San Miguel Beer was initially the one listed to see action in the tournament, although SMC sports director Alfrancis Chua said no one has approached the ballclub about the matter. During the first day of its planning session, the PBA board designated Meralco to represent the country instead as per the request of no less than FIBA Secretary General Patrick Baumann. Meralco board of governor Al Panlilio, who is also president of the Samahang Basketbol ng Pilipinas (SBP), was again grateful for the continued trust and help being extend by the pro league to the country’s basketball federation. Panlilio also doesn’t see any problem with the playing schedule of Meralco in the ongoing Governors Cup as only the team’s game again Rain or Shine on Sept. 28 will be affected. “Yes, it will (be adjusted) but for the Sept. 28 game only,” he disclosed to SPIN.ph from Las Vegas. “But we’re okay with our Oct. 5 game,” he said of the Bolts’ scheduled match that day against Blackwater. “So basically, one game lang ang affected." The Bolts will be reinforced by two-time Best Import Allen Durham, with another one to be brought in before the team departs for Thailand. Meralco will play first against Phoenix when the season-ending meet resumes on Sept. 19 following the two-week break for the FIBA World Cup qualifiers.